The Oceanis 46.1 supplies lots of interior comfort and good performance. To stand next to Beneteau’s Oceanis 46.1 at the dock is to be struck by the expanse of freeboard and the broad beam in the after third of the hull. 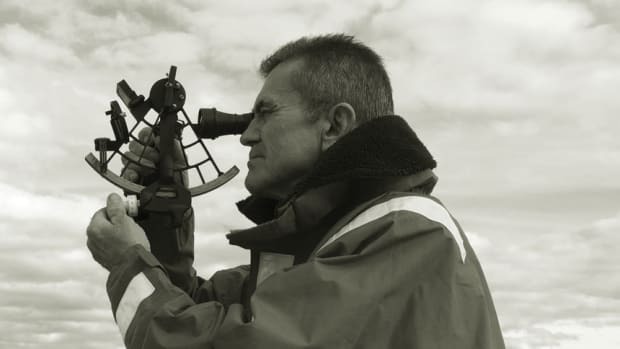 The beam provides what seems like an acre of surface on which the Oceanis will surf the face of waves on a broad reach. The Code 0 headsail is full of wind-driven horsepower. 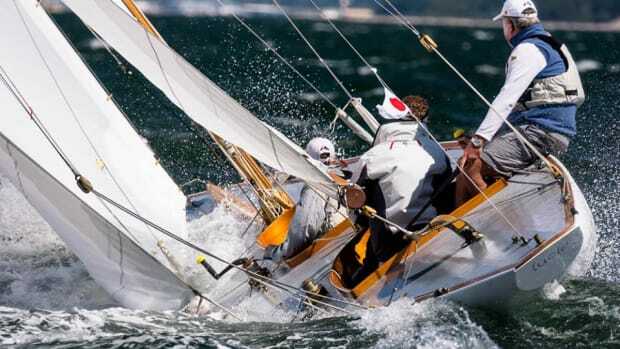 This boat shares characteristics with the blindingly fast Volvo Open 70s and Volvo Ocean 65s. Pascal Conq, who did the naval architecture for the 46.1, incorporated a modified version of another race-derived trend: chines. Rules for the Volvo Ocean Race established a maximum beam to enhance the boat’s ability to right itself from a 180- degree knockdown. 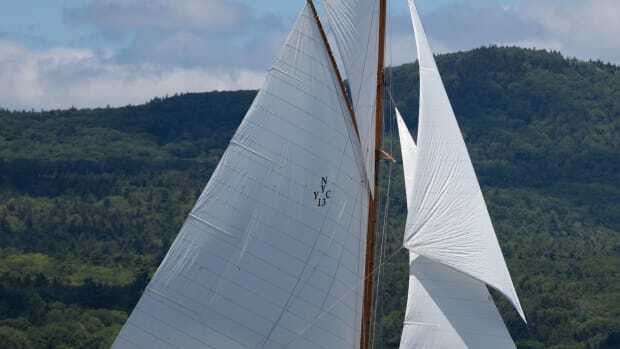 To get as much beam at the waterline as they wanted, but without exceeding the limit of overall beam, designers simply cut off the flare that would result from continuing the bottom’s arc to its logical terminus at deck level. 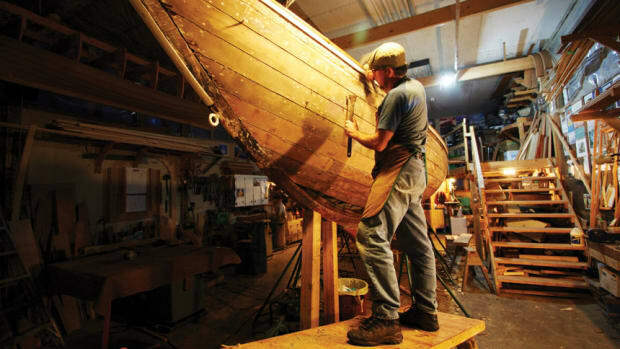 Wide boats with a single, deep rudder and fixed keel relied on the submerged chines upwind to help balance the helm at big angles of heel. Conq drew chines on the Oceanis 46.1 for another reason. 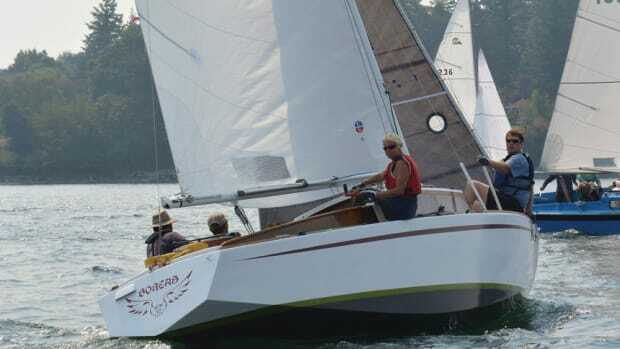 Twin rudders well outboard of the boat’s centerline eliminate the change in balance as the boat heels. The main purpose of chines on the Oceanis 46.1 is to reduce wetted surface area when the boat is under power or sailing dead downwind, allowing economical motoring plus the ability to ghost along nicely under sail in light air. 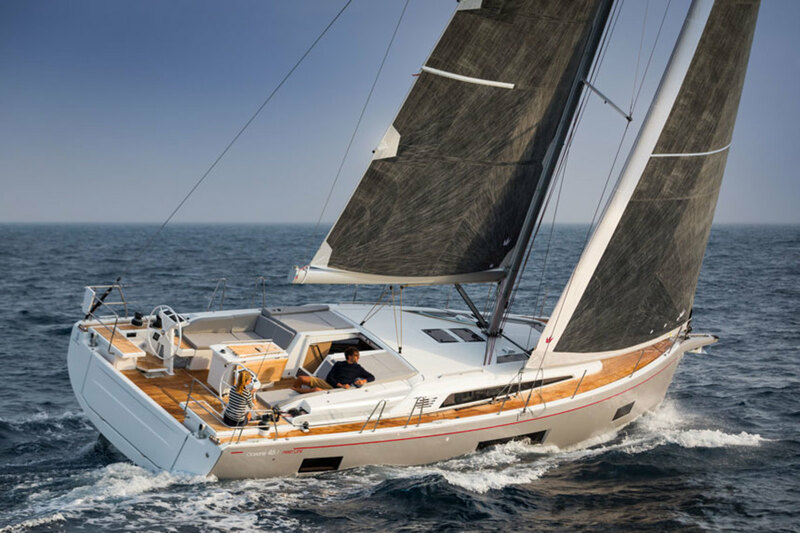 When Beneteau decided to renew the Oceanis range, the goal was to strike a good compromise between a comfortable cruising boat and the racier First series. 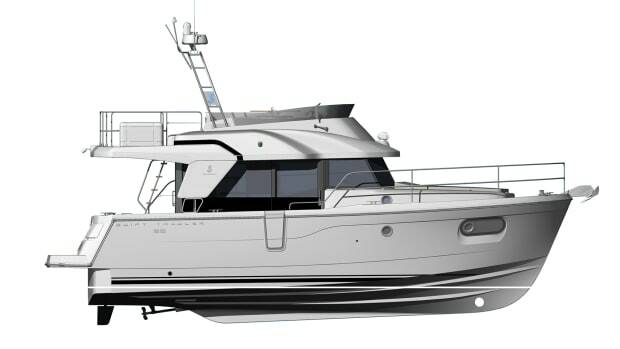 The hull on the 46.1 widens above the chines, giving the interior lots of volume for the accommodations but not at the expense of performance. Under power, the Oceanis 46.1 was remarkably quiet as we accelerated to hull speed, just shy of 9 knots. 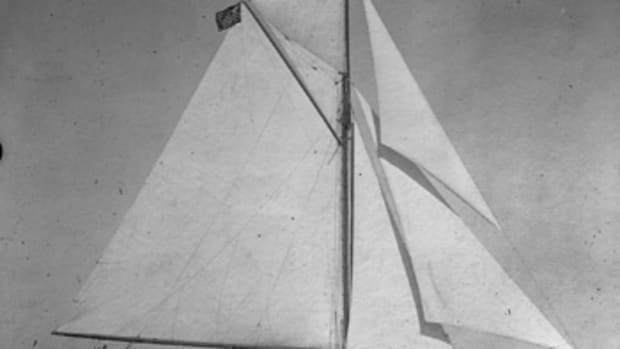 In-mast furling, such as the type on this 46.1, has for many years compromised the shape of many a main. This mainsail, however, set beautifully. It’s made from North Sails’ 3Di Nordac, which combines composite molded-sail technology with polyester fabric. Battens help the roach keep its shape. 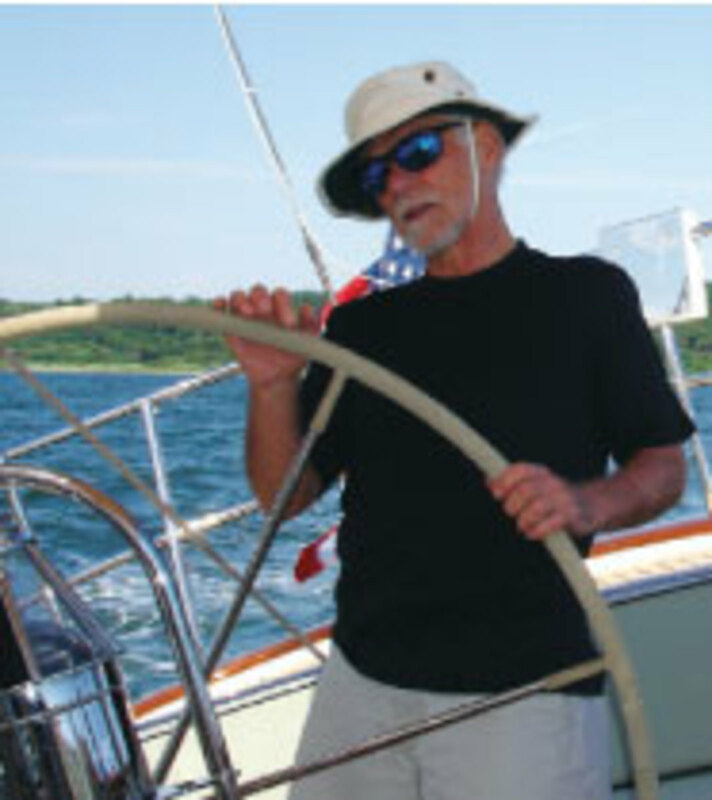 The self-tending jib eases short tacks up a narrow roadstead. With the Code 0 set in a true wind speed of 9.2 knots and angle of 122 degrees, the 46.1 showed 7.6 knots through the water. While the beam enhances the boat’s maximum speed, it also creates great cruising features, both below the waterline and in the accommodations. Substantial beam aft allows extra volume for stowage, machinery and, in the Oceanis 46.1, two double-berth staterooms. The cockpit is relatively large for the boat’s LOA. In addition to twin helms, it has a dropleaf table on centerline. With the leaves deployed, the table seats eight adults on built-in settees. 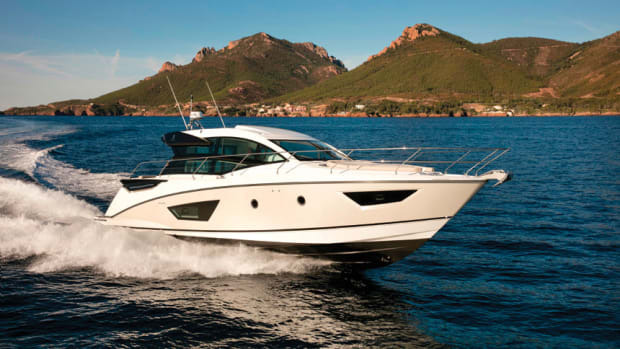 Beneteau offers a variety of interior arrangements, which all show an intelligent use of space. Hatches and port lights, and the use of blond cabinetry, keep the interior bright and welcoming.